OLD PARKED CARS. 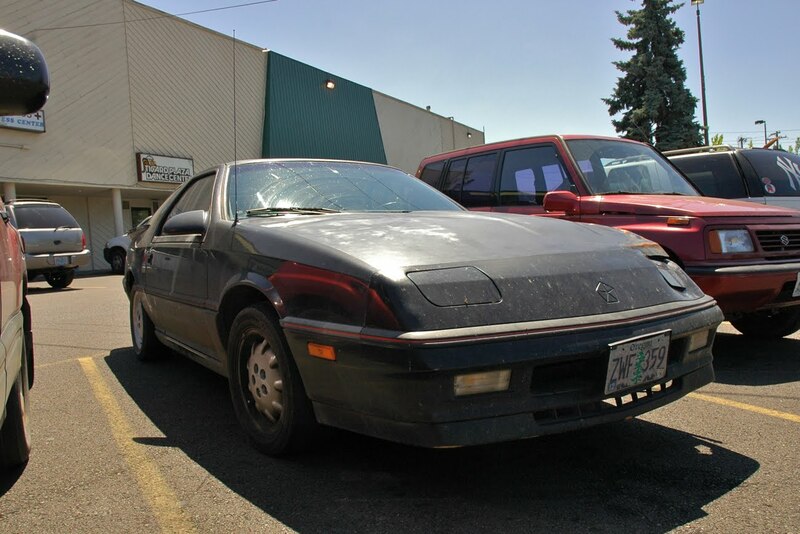 : Sunday Bonus: 1987 Dodge Daytona Shelby Z.
Sunday Bonus: 1987 Dodge Daytona Shelby Z.
I LOVE Daytonas!! I use to own a few of them. 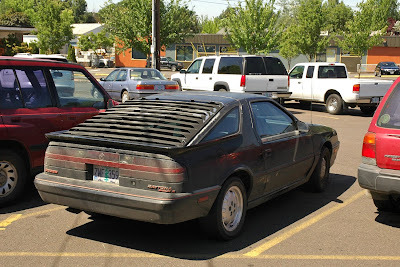 I also had the Chrysler version called the Lazer. I even had a rare and often forgotten Daytona IROC model. When the owner walked up and started talking to me, I tried to get him fired up to talk to me (hoping he was a big Shelby fan). Ben-"So hey, what are the specs on this thing?" 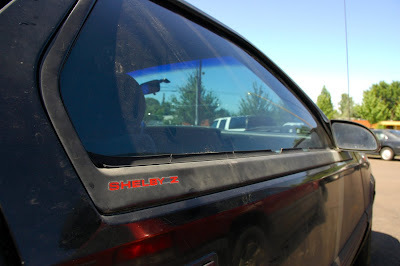 Owner-"I have no idea, my wife just got me this, and as you can see she already rear ended somebody." Ben-"Aw man, well luckily the panels are shared with the standard Daytona." Hope he gives it a thorough cleaning. Don't let a woman behind the wheel of an 80's turbo L-body, haha.